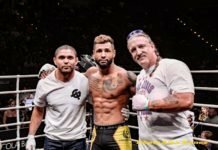 With plenty of great prospects competing in MMA action in the month of March, I narrowed it down to five who proved they are ready to make the leap to the big show. In his last three fights, Victor Henry beat a top prospect in Denis Lavrentyev, Kyler Phillips, who is now a UFC fighter, and Yuki Motoya, who is very good. After a few losses a few years ago, he seems now to be in his prime currently on a five-fight win streak. He’s fought all over the world so he would be very marketable for a big promotion. Henry has shown he’s well-rounded to go along with his successful background in catch wrestling. He thrives in scrambles and hunts for submissions actively, being well-versed on the mat. His striking is getting better with a solid base of kickboxing. Mike Davis fought Sodiq Yusuff last season on the Contender Series. He came up short in what was a great effort from both fighters. Since then, Davis won his next two fights, finishing both. Even in his last fight, Davis was able to get his first submission victory in his pro career. Davis has a background in boxing along with Muay Thai and is undefeated in both of those sports. 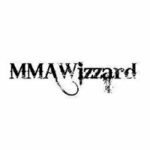 His striking is solid, the way he throws combinations and uses his head movement is fantastic and is reminiscent of UFC fighter Shane Burgos. His striking is crisp and his wrestling is good as well as he executes the timing on his double-legs very well. On top, he is smooth in transitions and effective at getting dominant positions with solid ground-and-pound. 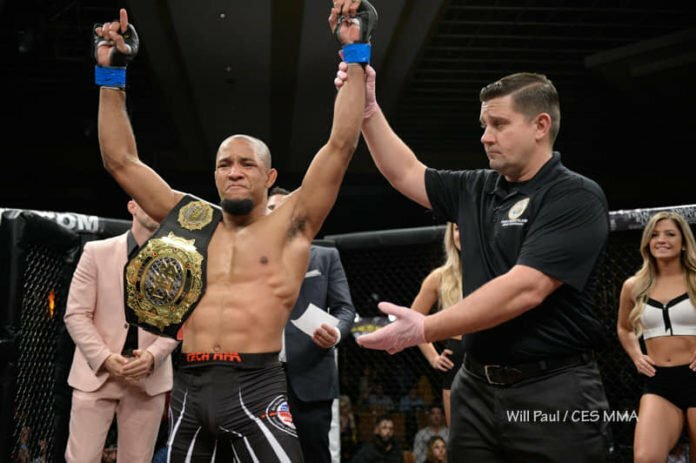 Tony Gravely has five losses, but they are to Bellator’s Ricky Bandejas, fellow top prospects in Patrick Mix and Pat Sabatini, and UFC fighters Manny Bermudez and Merab Dvalishvili. Gravely is the current CES and KOTC champion. He’s got a background in freestyle/folkstyle-wrestling and was a D1 wrestler and a two-time conference champ. He’s converted into a solid fighter and is deserving of an opportunity at the big stage.